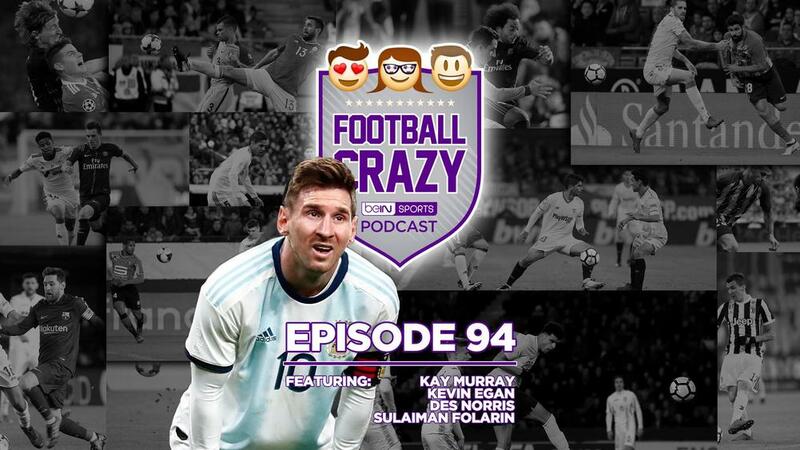 On this week's Football Crazy, Lionel Messi finds out the hard way that nothing much has changed with the Argentinean national team (00:51), a sense of lethargy hangs over Tite's Brazil (7:06), Tata Martino gets off to a flying start with Mexico (10:55), while Gregg Berhalter's third game in charge of the USMNT divides opinion (15:08). Special guest (and proud Nigerian) Sulaiman Folarin joins us in Part II to discuss the frenetic conclusion to the 2019 AFCON qualifiers, which saw ten teams stamp their ticket to this summer's tournament (18:40). We wrap up our international break special with a whistle-stop tour through the first round of Euro 2020 qualifiers where Germany lucked out against Netherlands, Luxembourg lead Cristiano Ronaldo's Portugal and England's Raheem Sterling continues knock on the door of the world footballing hierarchy (34:18).